Blythe and the state of things! Ok, ok, I admit it! I'm totally Blythe photo spamming! She's such a sassy fashion diva. I can't help but pick up the camera and go click, click, click, especially with her new steampunk garb. 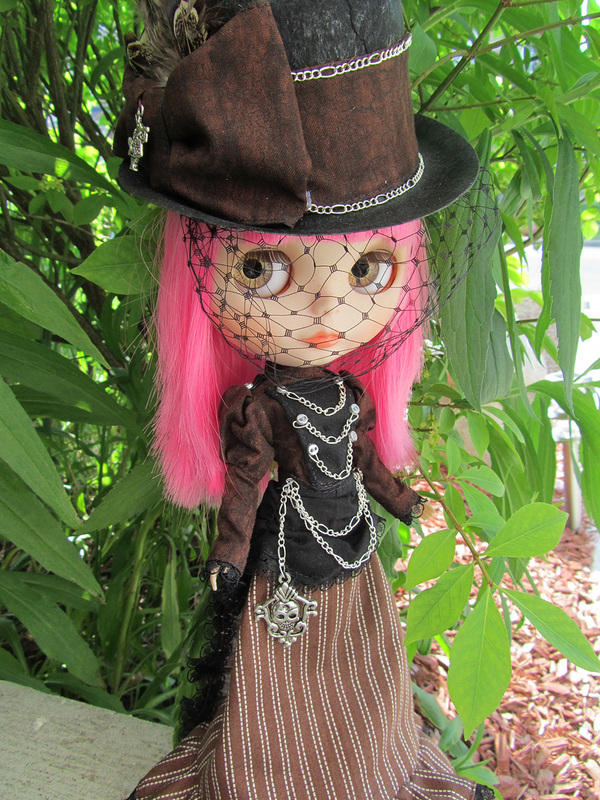 If my steampunk Dal wasn't buried behind other dolls at the moment, they would be sharing this blog post today. Alas, the whole doll room re-organizing has temporarily displaced dolls and I am currently awaiting special "half" shelvings to finally have things back on their respective places. 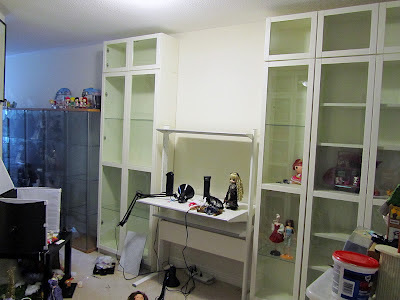 I've shown how one wall in the doll room looked like with the new bookcases a few weeks back. 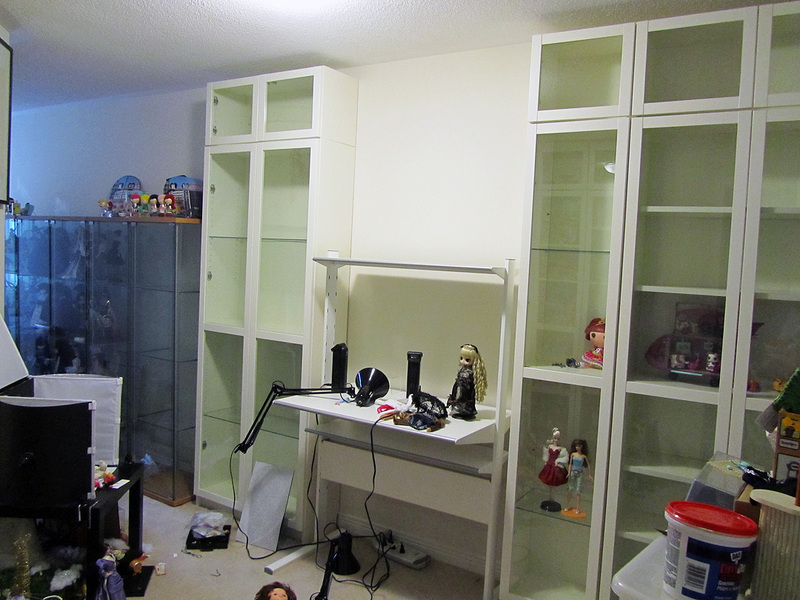 Here's the other wall that now has a desk for my light box, which, as you can see, I haven't transferred there yet. Yes, it's a bloody mess at the moment but some things always are before they get better! Hello from Spain: the room full of shelves to organize your collection of dolls is very nice. Blythe is very elegant. Keep in touch. I'm amazed at how well Blythe rocks Steampunk. Love the photo.